Just like the invention of wheel for automobiles the invention of wireless internet has revolutionized internet since then. Today every average household has a minimum of 5 devices that gets connected to internet and it is estimated that by 2020 we will have 50 billion devices connected to the internet sending and receiving information wirelessly. Today, be it a highly complex workstation or an ordinary smart LED lamp we use the technology called WiFi to connect it to the internet. WiFi has so far been the most optimal and best suited solution that could quench all our wireless thirst, but it might not be in the future. The demand for faster and safer internet has made the high intuitive human brains to develop a new wireless technology called Li-Fi. What is this new term Li-Fi and how does it differ from a Wi-Fi? 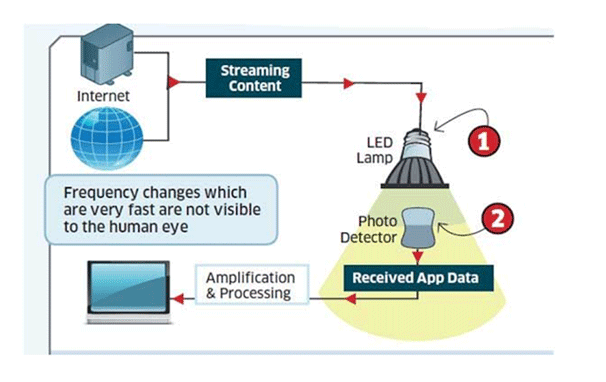 Can we expect Li-Fi to replace Wi-Fi in near future? Let’s find answers to all these questions in this article. What is Wi-Fi and Li-Fi? Wi-Fi and Li-Fi both are different technologies that are used to send and receive data wirelessly. With Wi-Fi we use Routers and Radio Frequency (RF) waves to transmit data whereas with Li-Fi we use LED bulbs (yes the one we use to light our house/office) and Light signals to transmit and receive data. 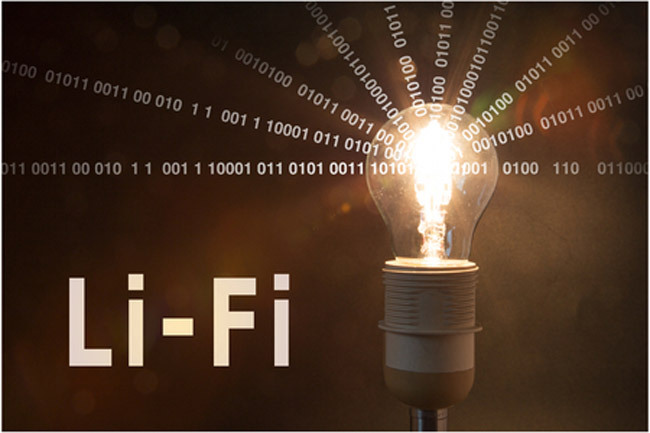 This article aims to explore the difference between LiFi and WiFi, if you want to know more about Li-Fi you can read the Working of Li-Fi article. Let us dive into the table to differentiate more between Wi-Fi and Li-Fi. Li-Fi might knock our doors sooner or later but let’s understand how Wi-Fi works so that we would be able to feel how this change would be. The term Wi-Fi stands for Wireless Fidelity and it was invented by NCR Corporation in 1991. Ever since then this technology has evolved and adapted itself to find way into all our offices and bedrooms. Today the term Wi-Fi is very common word which many people think it to be just wireless internet. But no, the term Wi-Fi and Wireless internet does not mean the same, they are different altogether says Dog Ngo editor of Cnet. As you can see every Wi-Fi signal needs a Wi-Fi router to send and receive a data packet. These routers are again connected by wires to the Internet providers through a modem. Wi-Fi works with the help of Radio waves and so for every device that gets connected to internet we need to provide an additional piece of hardware that could send and receive RF signals. Fun Fact: When Wi-Fi was first invented it was mainly indented to use for cashier systems and they named in WaveLAN only years later it was given its iconic name Wi-Fi.